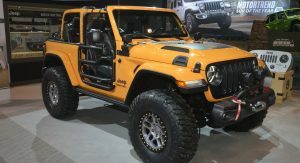 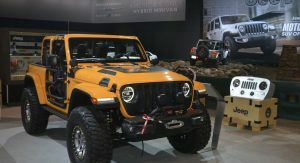 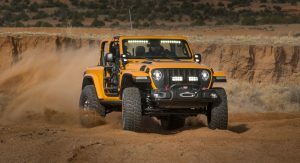 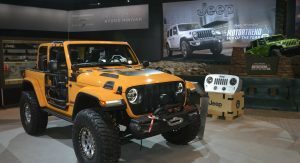 Unveiled last year alongside six other concepts for the annual Easter Jeep Safari in Moab, Utah, the Nacho Jeep has now blazed a trail towards the North-East so that it can attend the 2019 Chicago Auto Show. 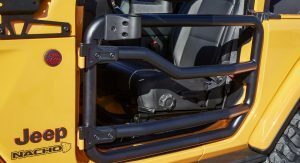 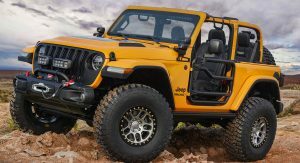 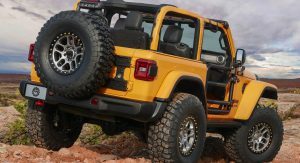 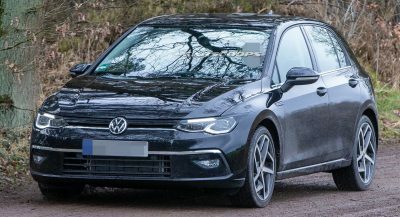 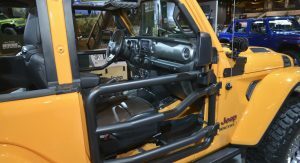 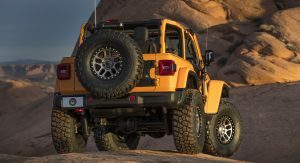 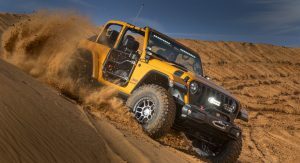 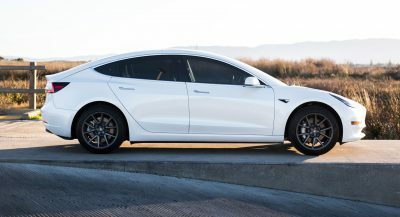 The reason why it looks so capable is because it’s basically a “rolling catalog” with all types of off-road bits and pieces sourced from the Mopar brand’s Jeep Performance Parts (JPP) selection. 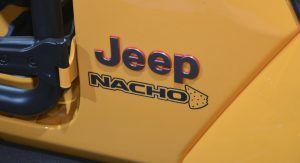 Then there’s the Nacho yellow exterior, which only serves to accentuate its presence. 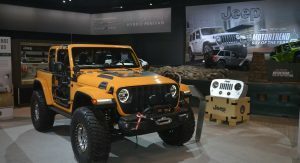 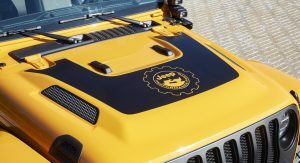 If you want to round up all the Jeep Performance Parts featured on this concept vehicle, you’ll need to start with the hood, which boasts a black JPP badge graphic, engineered around the cold-air intake that feeds into the 2.0-liter turbocharged four-pot. 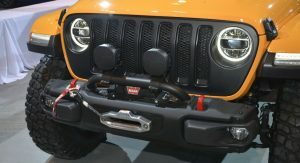 Sticking with the front end, we also have a satin black Mopar grille, steel Rubicon bumper with a Warn Winch kit, A-pillar and brush guard-mounted LED lights from Magneti Marelli’s Automotive Lighting division, plus more lights mounted to the windshield. 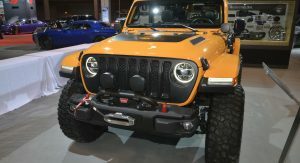 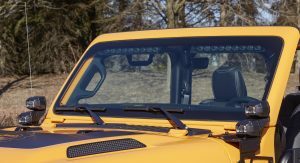 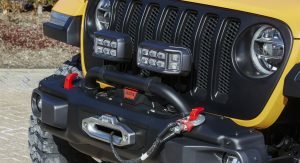 Other mods include a rear off-road scouting light with four-color LEDs, a 2-inch lift kit for increased off-road clearance (includes 2.5-inch diameter body shocks), large 37-inch tires wrapped around 17-inch wheels, thick rock rails, 2-inch round tube doors and grab handles embossed with the Jeep logo, a spare tire carrier mounted to the tailgate and a JPP fuel door with a black finish. 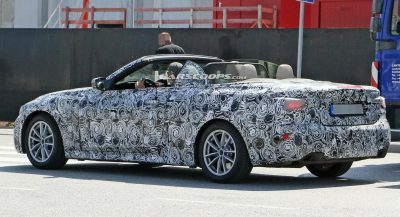 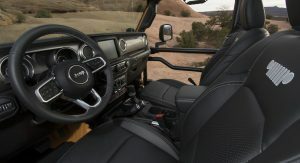 As for the interior, there are Black Katzkin leather seats wearing a light tungsten embroidered Jeep grille logo on the seatbacks, to go with light tungsten accent stitching on the seat bolsters. 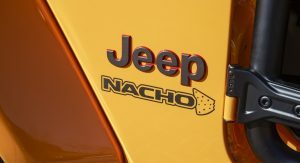 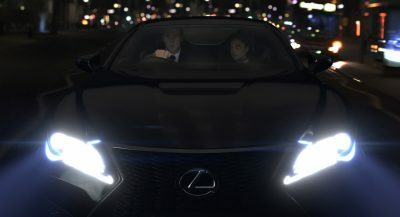 Daaaaaaaaaaaaaaamn. 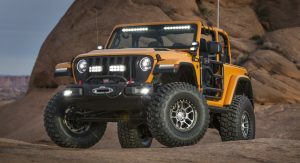 Just a Hemi V8 short of perfection,.